12V 300W Print bed heater botton view. 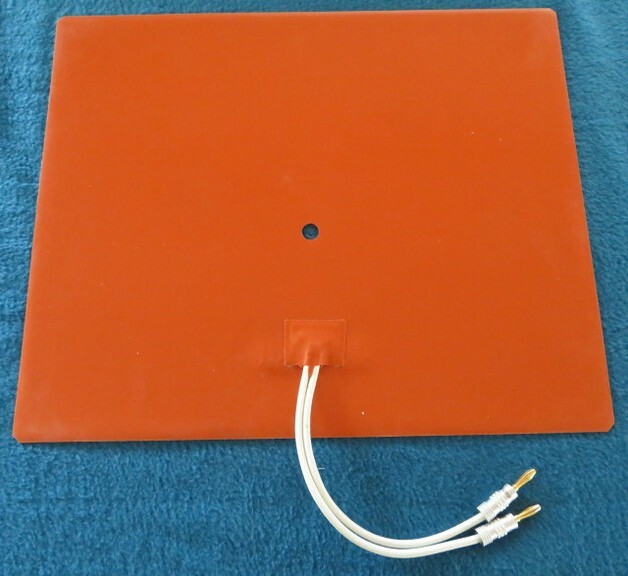 12V 300W Print bed heater top view. 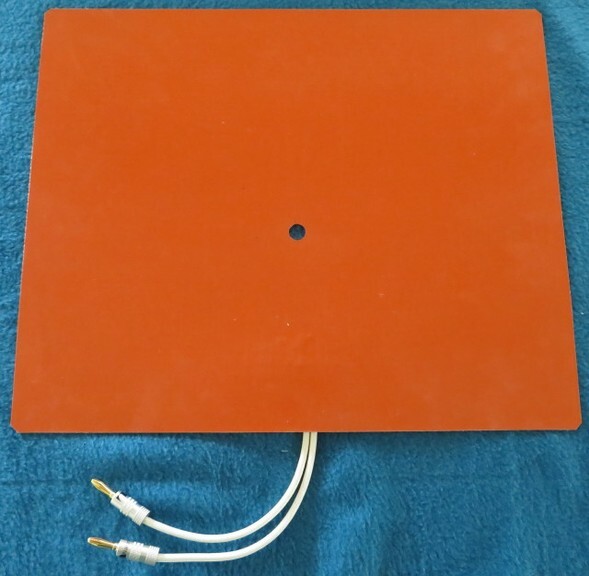 12V 300W Print bed heater view through borosilicate glass print surface. 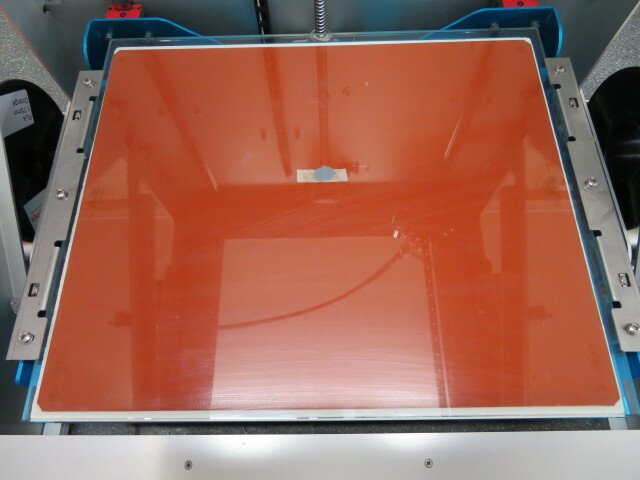 The temperature sensor tip is visible through the glass bed, grey patch of heat transfer paste.